This Creative Table prompt invites you to use simple materials that you can easily gather on a walk and from basic supplies in your home. 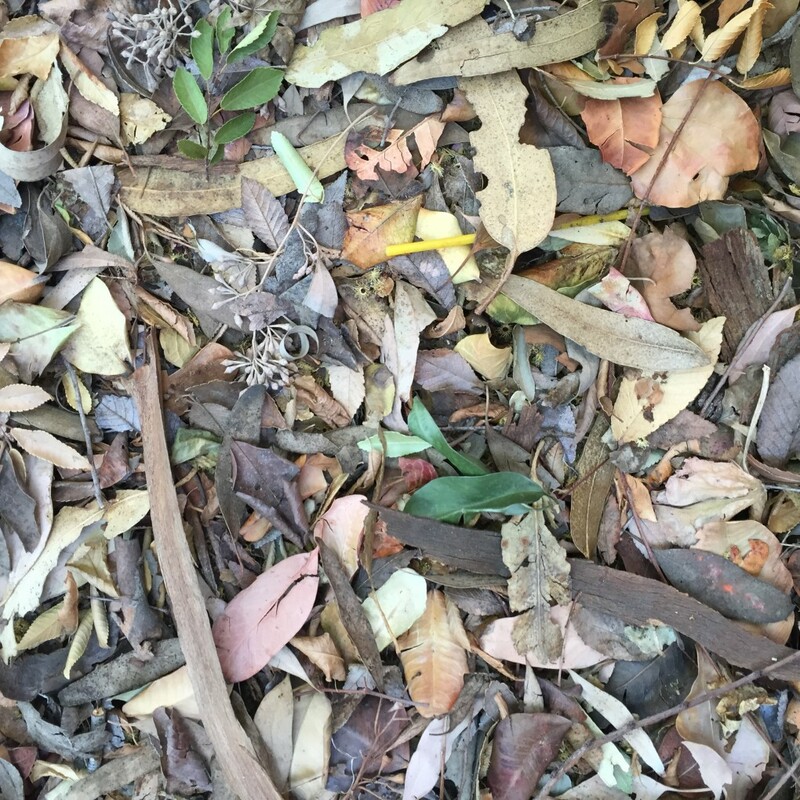 No trees were harmed for this project as we gathered leaves that had already fallen to the ground. It’s no secret that my family likes to draw, and we’re always playing with ways to make drawing more entertaining. 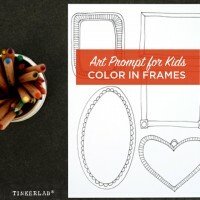 We often do this “fill a frame” activity in our sketchbooks while traveling or while waiting for food in restaurants, but it’s also easy to set up anywhere. 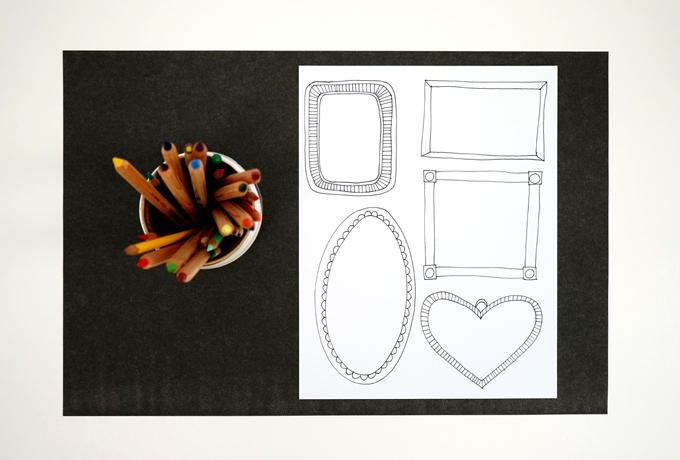 All you need is paper and drawing supplies. 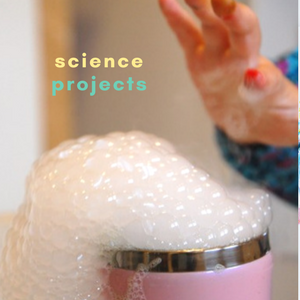 This project falls under the Creative Table Project, a series of simple art and science prompts that encourage creative thinking skills and experimentation. In a nutshell, you set up the materials and then invite your child to create. I set ours up with colored pencils, and my daughter swapped them for her favorite markers. With set-ups like these, follow your child’s interests. If they have an idea that’s different from what you had in mind, as long as it’s safe, it’s 100% okay! 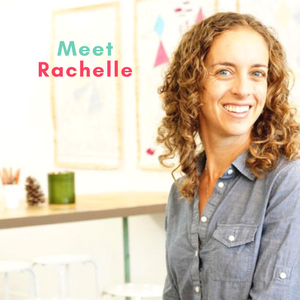 Related to this project, my friend Agnes recently launched a company called Plaeful, and they make erasable, washable frame decals that you can stick right up on your wall. 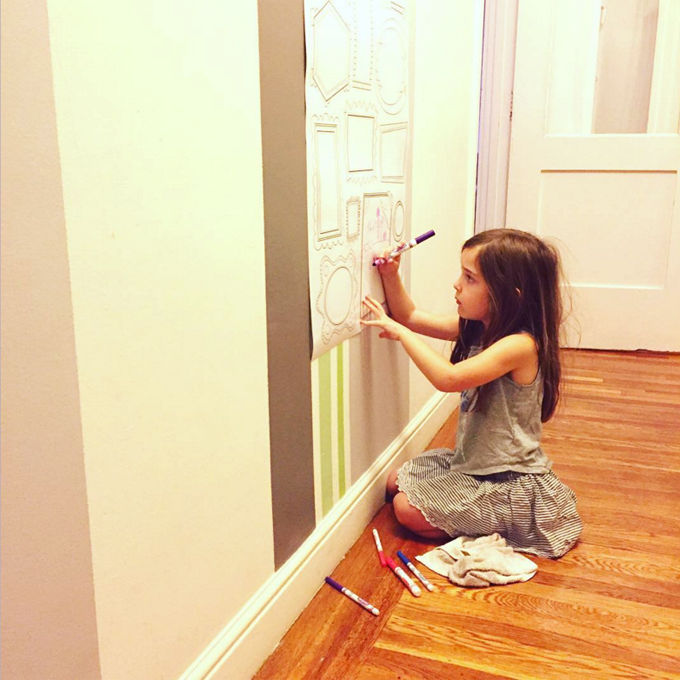 We have one in our busy hallway, and I’m always catching my kids filling it in with designs, stories, and color. 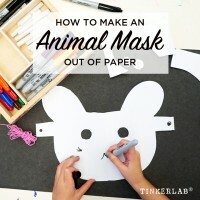 I recently set up this mask-making activity up for my five-year old and loved seeing how she added details and personality to the animal mask template. 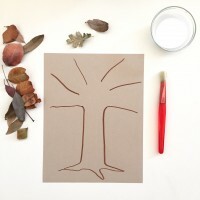 This project falls under the Creative Table Project, a series of simple art and science prompts that encourage creative thinking skills and experimentation. There are plenty of ways to set this up. Pre-draw the shape of half of an animal face the paper. Be sure the center of the face is along the folded edge. 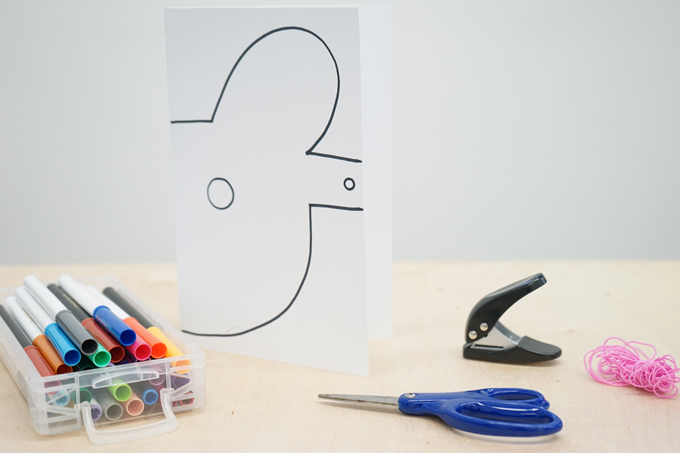 Set the paper up on a table with markers and scissors. Invite your child to cut the mask out of the paper and then design and create an animal. Punch holes for the elastic, tie the elastic on, and wear! 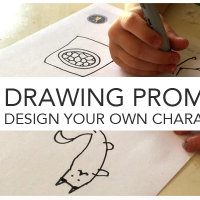 For more easy art prompts and set-ups like this, visit The Creative Table Project. 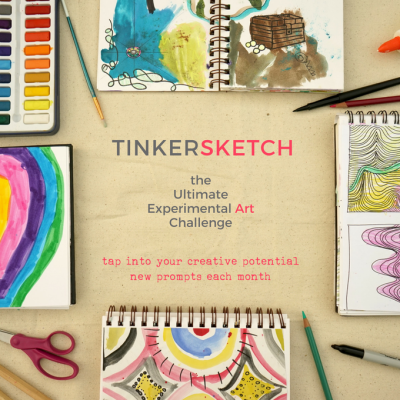 If you’ve been with TinkerLab for a bit of time, you may remember when I introduced the Creative Table Challenge a few years ago. Since then, I’ve posted a series of Creative Table prompt ideas as inspiration for setting up provocations and invitations to create at home and school. Since then, I’ve received a lot of questions about these prompts, so I’m pulling a couple exciting projects together around this idea. I’m excited to share them with you soon! I want to make the Creative Table resource more useful, so I’m gathering all of your big questions around it. First I’ll share some of the questions I get, and then I’d love to hear what questions YOU have! Do you set these provocations up for your children every day? Yes and no. I’ve gone through phases where I have set these up daily, and then other periods where I won’t set them up for a few days. It all depends on the rhythm of our family at the time. For example, when my children were both getting up VERY early, I would set up our Creative Table™ the night before so that they would have an engaging activity waiting for them when they awoke. I also find that summer is a good time for us to have daily prompts because there’s not a mad rush to get out the door early and we can ease into a morning of making. As my children get older, they still enjoy prompts, but they’re also driven by their own ideas and enjoy finding the materials they need in our self-serve maker zone. We order a lot of art supplies through Amazon, such as our liquid watercolors (affiliate – these are a must-have) and black kraft paper for covering tables. We also spend time at Michael’s, but it’s dangerous for me to bring my kids into the eye-candy bonanza of that store. 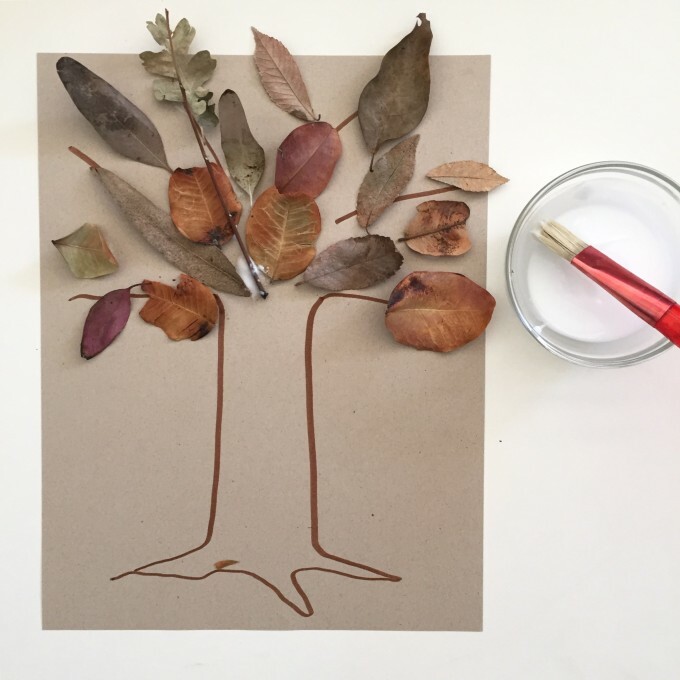 🙂 We gather a lot of found materials for projects such as foam printmaking and natural supplies on walks and hikes for projects such as this prompt with leaves and glue. What burning questions do you have about invitations to create and provocations for the Creative Table? Maybe it’s about setting it up, making time for it, the age of your child or children, or the challenges you face with this type of project. Anything you have to share will be useful, and your name with be kept in confidentiality unless you give me permission to share it. Thank you so much for taking time to fill this out! 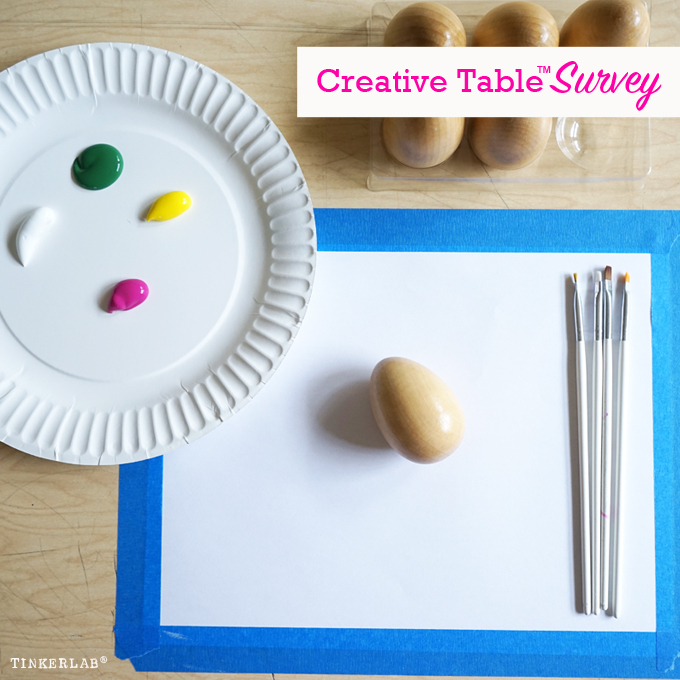 If you’re looking for a simple way to set up creative provocations that encourage curiosity and imagination, you will love the Creative Table™ Project. 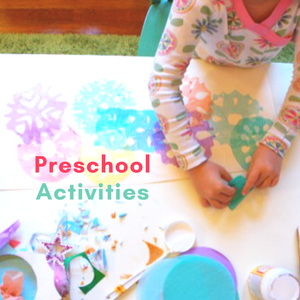 These activities won’t take a lot of time to set up, and while your child creates you can step back while they enjoy the process of exploration. WHAT IS THE CREATIVE TABLE PROJECT? The Creative Table™ Project invites you to share an image of a creative invitation, prompt, provocation, or set-up. 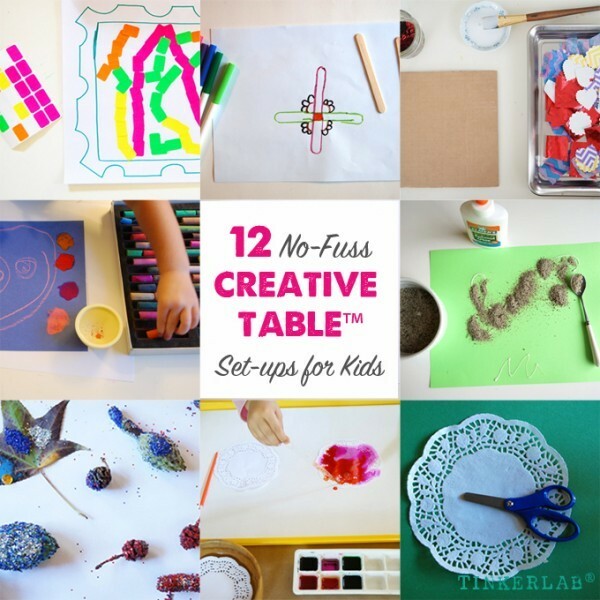 The creative table set-ups are simple: Clear a table, place the inspiring materials in an inviting arrangement, and invite a child to create. There’s no right or wrong way about it. While we may have an idea about how the other person will use the materials, it’s ultimately up to the child to determine the outcome. 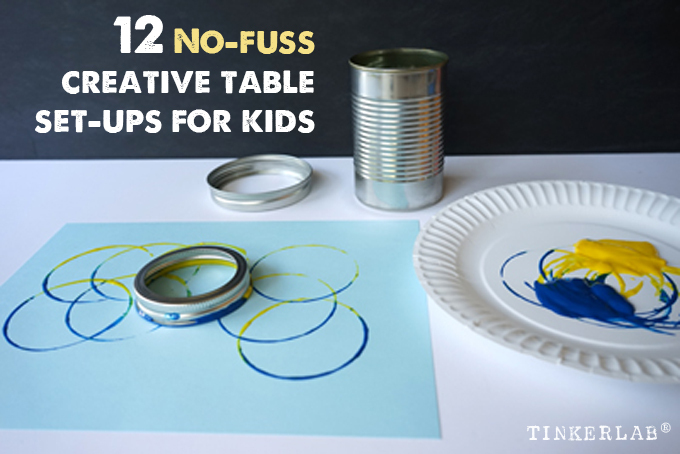 You can read more here for tips on how to set up these creative table provocations. 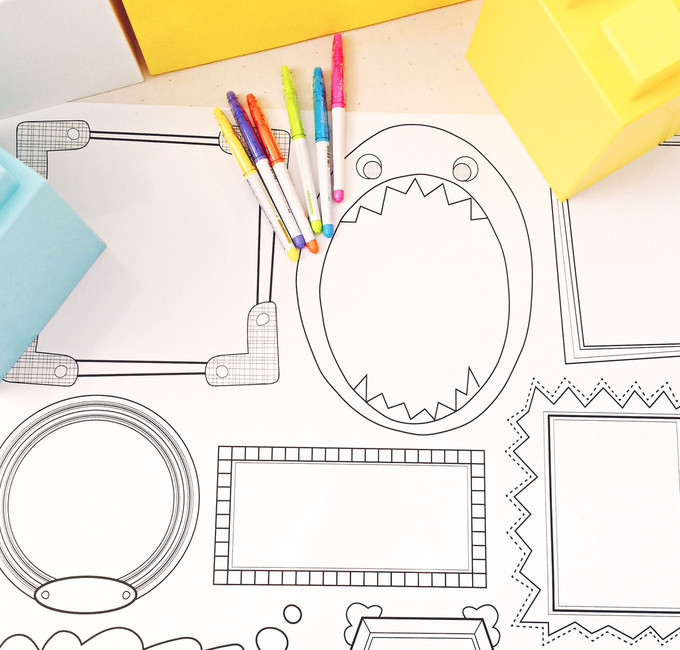 If you’re new to all of this, find out how to set up a self-serve maker space for kids. 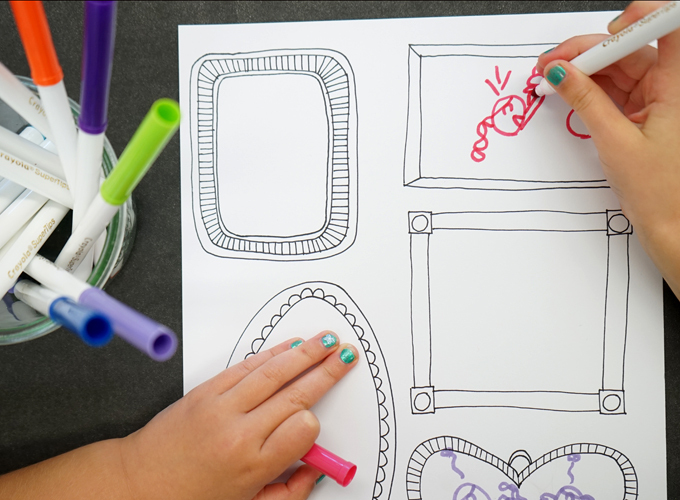 If you enjoyed this, check out 3 Easy Art Invitations that Encourage Creativity and Independent Thinking, an article I wrote for Modern Parents Messy Kids. 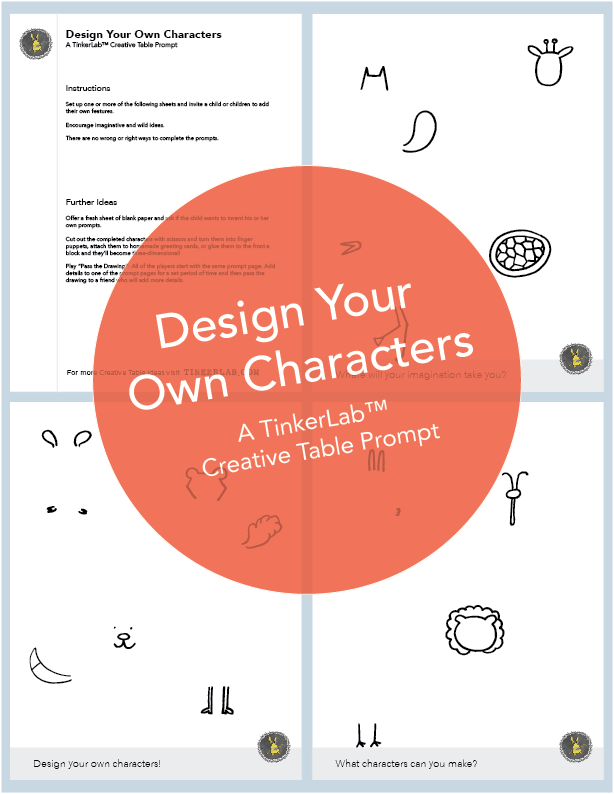 If you’re looking for a fun drawing prompt that encourages imaginative thinking, this Creative Table drawing prompt is sure to please. My four-year old found it enthralling, and soon after completing these, she invented her own prompts for her dad to work on. 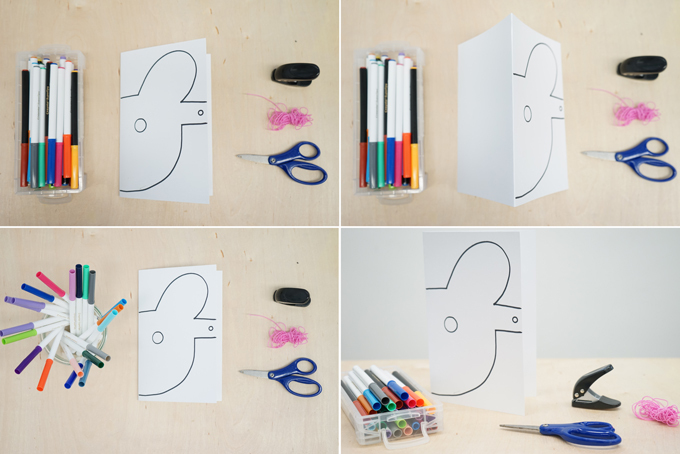 Set up a sheet of paper with basic animal or people parts, and then invite your child to fill in the missing parts of the bodies with their own ideas. So, for example, draw bunny ears and a tail, and leave the rest of the image blank. I’ll share some ideas in the photos below. 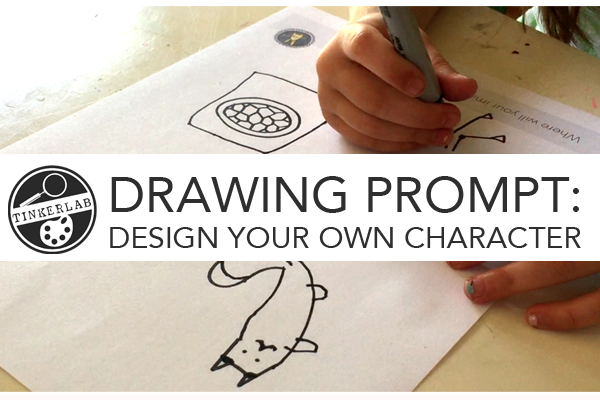 You can easily draw your own prompts with a few quick strokes of pen. But if you’d like some that are ready to go, with instructions and ideas to further this exercise in creativity, I pulled together a downloadable PDF. 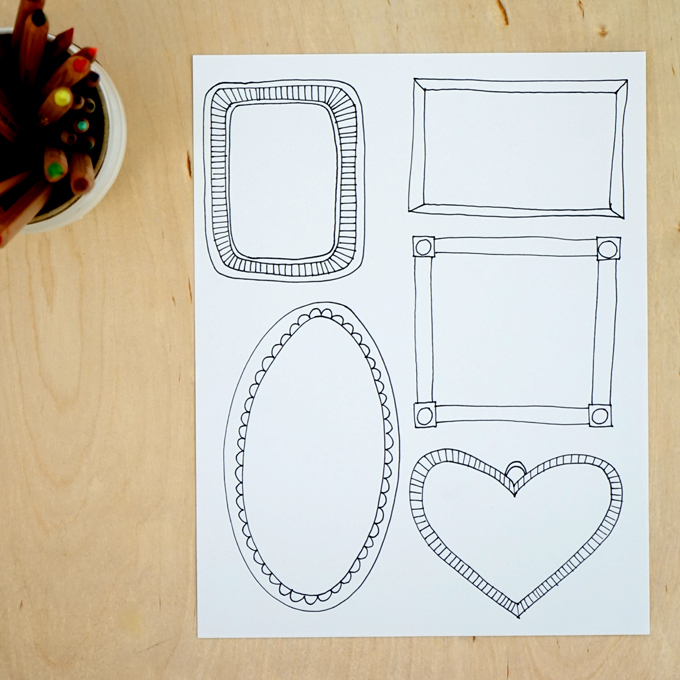 You can print it right away, as many times as you like, and have a creative drawing session in just a few moments. Click here to download a copy today. What is the Creative Table Series? Provide clues about how to use the materials, but keep the project open-ended so that original ideas can flourish. 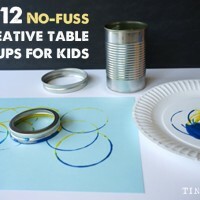 You can read more about the Creative Table Series and grab at least ten more easy and fun ideas here.